National hotel chains are rapidly expanding. Santika Indonesia Hotels and Resorts is among them, with nine new hotels slated to open in 2018. According to Sudarsana, Santika’s general manager of corporate business development and marketing communications, new hotels from the chain would open in a number of Indonesian cities, namely Palembang, Sukabumi, Garut, Jakarta, Bandung, Surabaya, Lombok and Ambon. Four-star Santika Premiere hotels will open in Palembang and Ambon, reported Kompas.com. 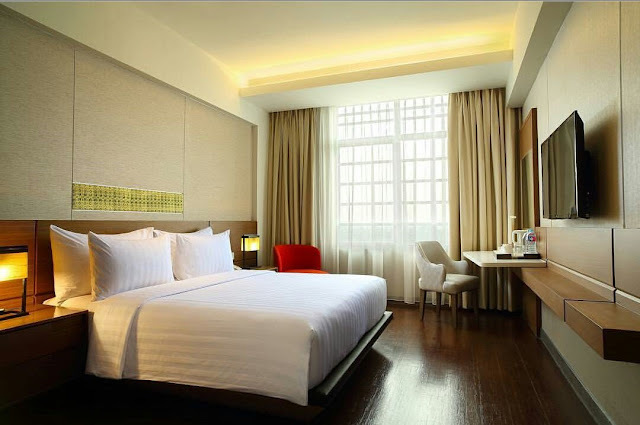 The chain has previously opened a two-star Amaris hotel and a three-star Hotel Santika Radial in Palembang. Furthermore, the new opening also includes a couple of three-star Santika hotels, two Amaris hotels and one boutique villa.